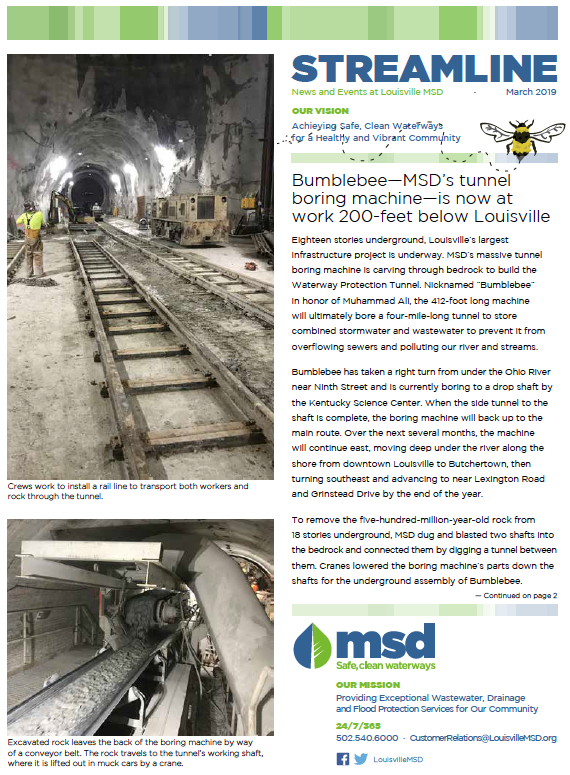 Want to keep up with all the news and events at Louisville MSD? Sign up to receive our newsletter StreamLine. To receive your digital copy, click here. To receive your copy via the United States Postal Service, please email us at SocialMedia@LouisvilleMSD.org or call Customer Relations at 502.540.6000. MSD's Annual Report is a reader-friendly summary of MSD's activities during FY16 and financial highlights for the year.